Formerly the Fremont Adult School at 24th and N streets, the currently vacant 47,000 square-foot space will be the proposed home for the City’s first art and education collaborative art space. 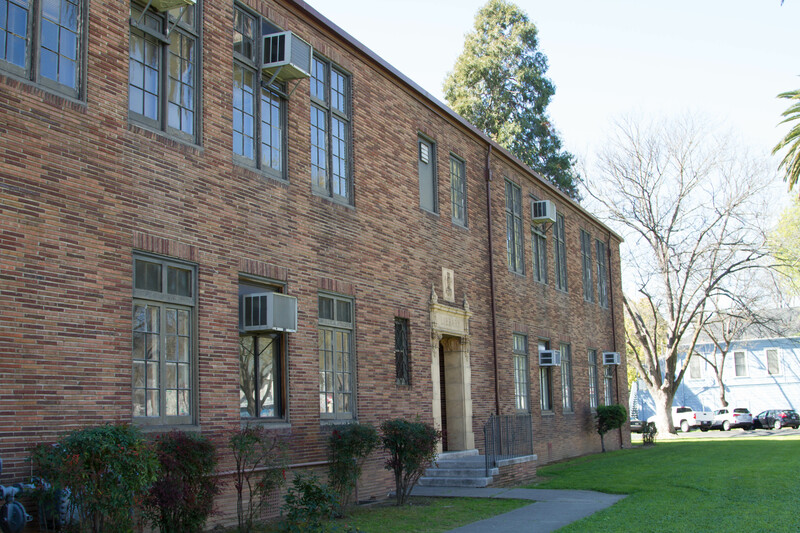 The historic school will be the new rehearsal venue and office space for local art groups, to be run by members of the arts community including the Sacramento Ballet. The City’s $5 million contribution toward renovating the school goes to Council for approval on Tuesday, March 17. The E. Claire Studios for the Performing Arts is a financially self-sustaining arts and education development among the City of Sacramento, Sacramento City Unified School District, and The Studios for Performing Arts Operating Company, a non-profit corporation that will oversee the development and operations of the project. The space will provide a shared space for a variety of tenants such as the Brazilian Center, Sacramento Children’s Chorus, Capitol Stage, and Alliance Franchise, and will serve as the permanent home for the Sacramento Ballet and its growing school. Sharing space allows for financial stability through lower-than-market rates. Sharing space also tenants to share ideas – allowing creativity among performers and artists to flow freely. The historic building boast an attractive setting for the new school. The proposed Studios project includes the District leasing the 2.5-acre site and building for a period of 40 years to the City of Sacramento for $1. The City then would sublease the site and building to the Operating Company, who would contribute the initial $1.5 million dollars and the City would contribute the final $5 million dollars needed to complete the project. This initial $1.5 million dollars has already been donated from some of the leading regional art philanthropists. The non-profit has a diverse and dynamic board of directors that will be responsible for overseeing development and vision of the project. The studio is scheduled to go before the City Council for final action on March 17, with construction slated to start in April. The completion of the project is expected to take only seven to eight months.